Of the large level of plantation worker immigration, the Chinese were the first (1850,) followed by the Japanese (1885.) After the turn of the century, the plantations started bringing in Filipinos. Over the years in successive waves of immigration, the Sugar Planters (HSPA_)brought to Hawaiʻi 46,000-Chinese, 180,000-Japanese, 126,000-Filipinos, as well as Portuguese, Puerto Ricans and other ethnic groups. 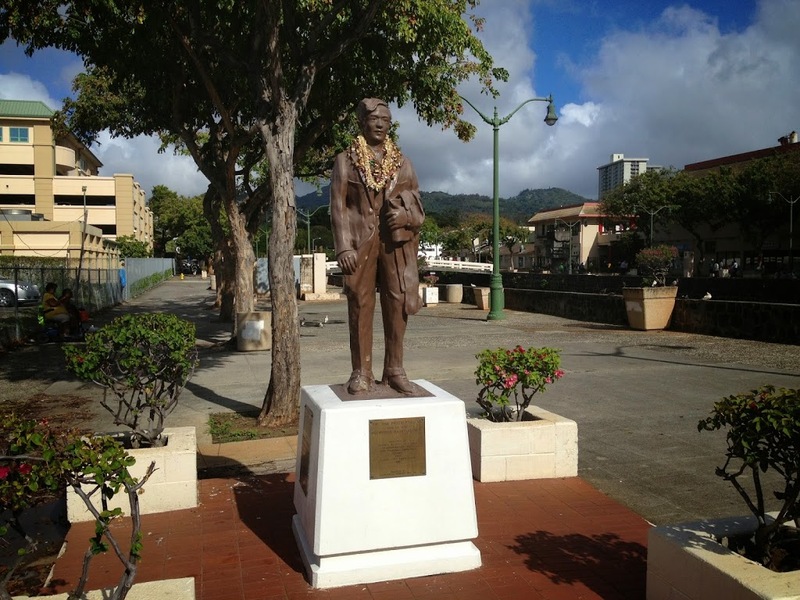 In Hawaiʻi, the Japanese abandoned unionism altogether with the failure of the 1920 strike; Filipinos, led by Pablo Manlapit, continued to organize and also form the Higher Wages Movement. Filipino laborers earned approximately $20 to $25 a month, and would spend about one-fourth of their wages on food and an additional $2 to wash their clothes. They sent much of the remaining money to relatives in the Philippines. In 2006, a plaque was placed in the Hanapēpē Town Park to commemorate the Hanapepe Massacre of 1924. The image shows National Guard soldiers watched over 130 strikers awaiting trial for riot charges outside the Līhuʻe district court. (TGI) In addition, I have added some other images in a folder of like name in the Photos section on my Facebook and Google+ pages. During the War of 1812, Filipinos from Manila Village (near New Orleans) were among the “Batarians” who fought against the British with Jean Lafitte in the Battle of New Orleans. Filipino’s Spanish connection came to an end after the Spanish-American War in 1898 when America wanted to control the Philippines. Unknown to Filipinos, through the Treaty of Paris (April 11, 1899,) Spain sold the Philippines to the US for $20-million, thus ending over 300 years of Spanish colonization. During this later time, particularly during the Great Depression, Filipinos had to compete against other ethnic groups to earn a living. Tensions grew. This eventually led to the passing of the Tydings-McDuffie Act of 1934, which officially provided for Philippine independence and self-government; it also limited Filipino immigration to the US to 50-per year. Working conditions and wage disparities lead to worker unrest, eventually leading to the formation of labor unions; they formed the Filipino Labor Union. 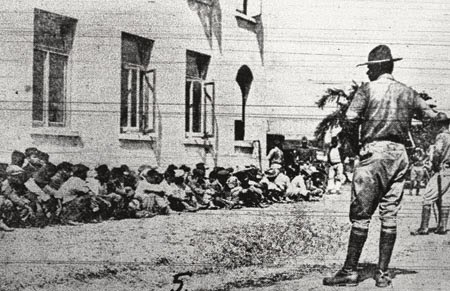 In 1924 and again in 1935 the Filipinos struck along racial lines; the Filipino workers and their families were evicted from their homes and left to fend for themselves, their leaders were jailed. Then, in 1935, President Roosevelt, as part of his New Deal legislation, passed the Wagner Act giving workers the legal right to organize unions that could demand employer recognition. Following WW II (May 21, 1945,) pro-labor legislature passed the landmark Hawaiʻi Employees Relations Act, popularly called the Little Wagner Act, which extended the rights of collective bargaining to agricultural workers. The legislature extended the provisions of the wage and hour law to cover agricultural workers and set minimum wages. The International Longshoremen’s and Warehousemen’s Union (ILWU) proceeded to organize on all sugar plantations, and by the end of 1945, the ILWU had contracts industry-wide. Bargaining on the employers’ side was conducted by the Hawaiʻi Employers Council (non-profit and voluntary,) formed to conduct the bargaining and negotiate contracts with unions – thus the ILWU bargained not with the plantations but with the Hawaiʻi Employers Council. Concurrent with the convention, a Fiesta Filipina celebration was held where Leticia Quintal, a UH history major, was crowned as “the first Miss Philippines-Hawaiʻi.” (That pageant award was later changed to Miss Hawaiʻi Filipina.) Out of the convention and fiesta was born the United Filipino Council of Hawaiʻi. 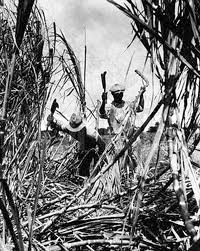 The image shows Filipinos hand-harvesting sugar. In addition, I have added other related images in a folder of like name in the Photos section on my Facebook and Google+ pages.